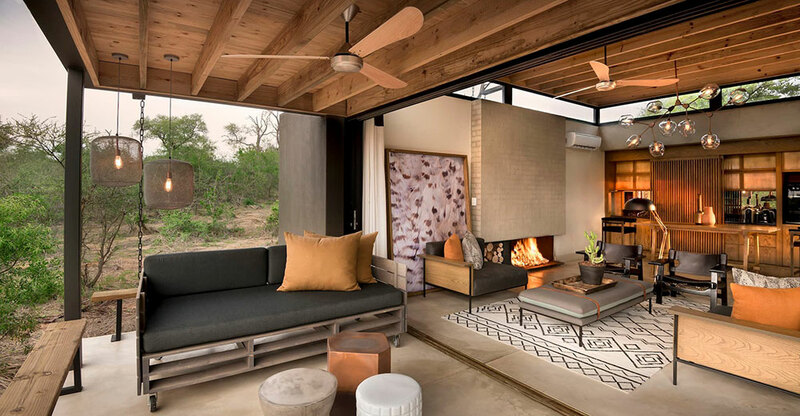 The nine individual riverside villas which make up Ivory Lodge are designed to incorporate a high degree of privacy while also creating an appreciation of the surrounding bush of Sabi Sand Reserve. 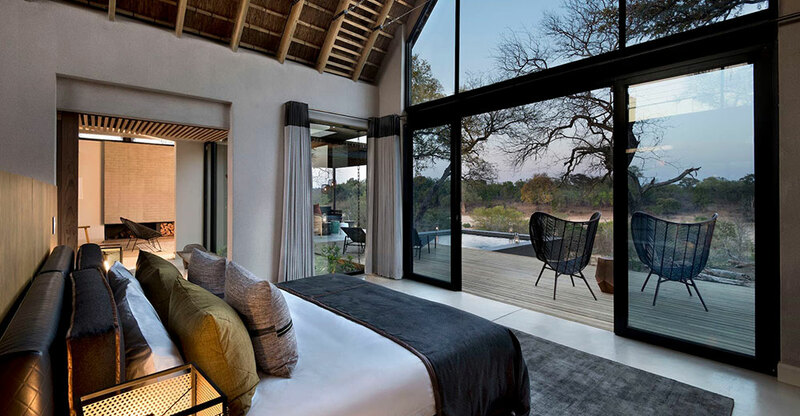 Built with optimum light levels in mind and of natural materials that enhance its organic surroundings, each en-suite villa includes private lounge space and a plunge pool, while the shared public areas include a large wooden viewing deck, spa and gym, and gallery, all of which are within a stone’s throw of the Sabie River. 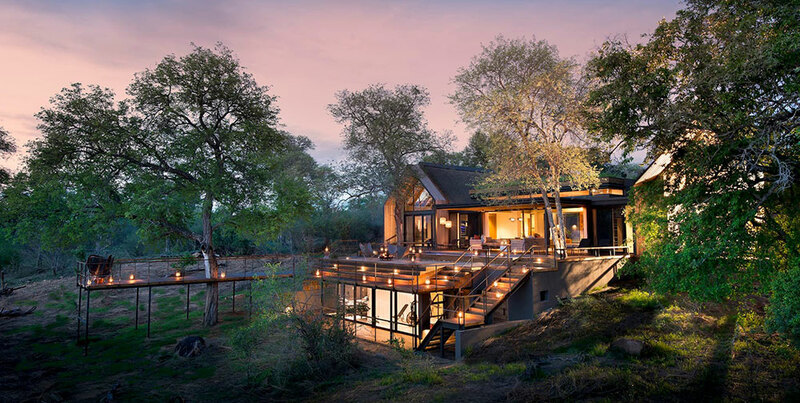 The lodge’s prime elevated location in the privately-owned Sabi Sands game reserve overlooking this year-round river, together with its proximity to Kruger National Park, ensures guests the full traditional safari experience in a sophisticated setting with subtle contemporary décor picked out by bold flourishes. 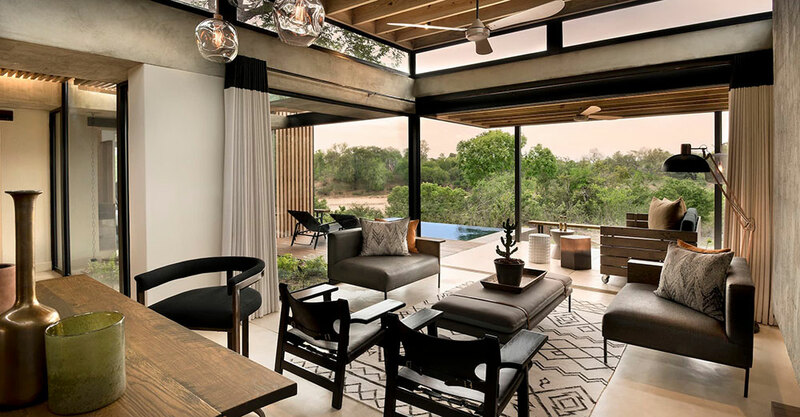 Their mid-century architecture of bold lines and timeless styling incorporates ancient local tribal influences and highly-textured furnishings for a unique ambiance though firmly set in the grand traditions of safari. The double-suite villa, named Fish Eagle, includes two identical en-suite bedrooms, pool, fire pit, and private wellness room. Ivory Lodge comprises eight one-bedroom villas and a single double-suite villa. Each of the one-bedroom villas contains a spacious lounge area with an open fire, covered patio, plunge pool with outdoor shower, and multiple deck areas. 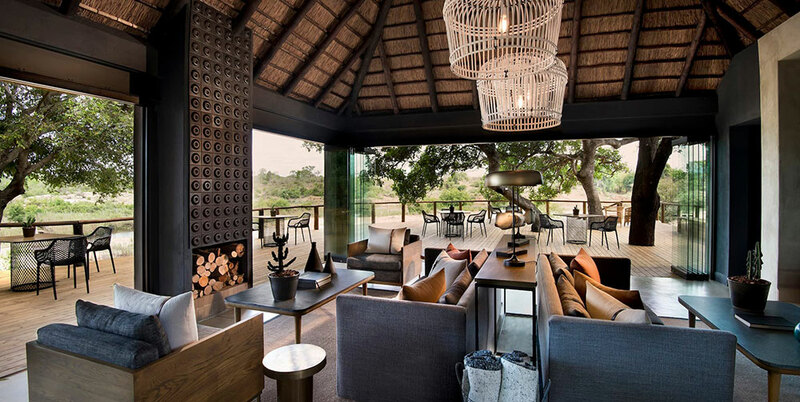 The large shared spaces within Ivory Lodge continue from where the villas left off, with steel, wood, thatch, and glass united to create an airy and eye-catching space with bold design touches in which to dine and relax. In addition to the lounge, dining space, and a large exterior deck, there is a small art gallery showcasing the work of local artists, and an Africology-branded spa and gym. The Sabi Sand Reserve is a private game reserve of over 150,000 acres running adjacent to and contiguously with Kruger National Park. The perennial flow of the Sabie River, around which Ivory Lodge is set, attracts a highly-varied list of animals – totaling around 750 individual species – throughout the year, while the reserve is particularly well-regarded for the quality of its leopard sightings, an elusive animal regularly spotted on game drives. 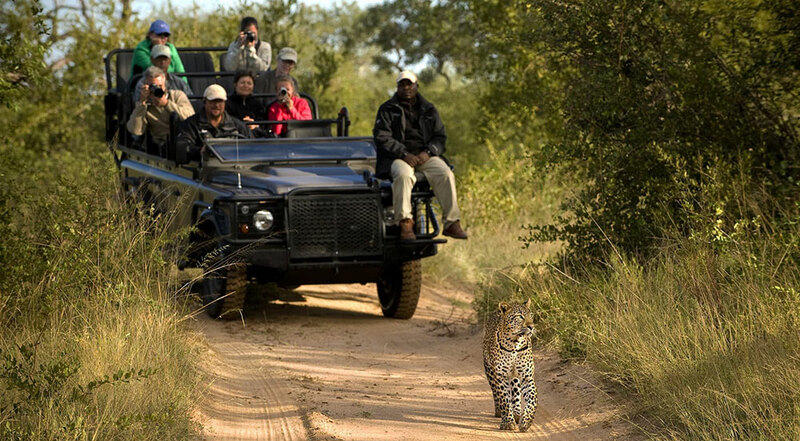 The open-top all-terrain safari vehicles used at Ivory Lodge ensure guests are able to get close to Africa’s iconic wildlife species wherever they might be located. As a privately-owned reserve true off-roading is a real possibility, while there are also no time restrictions for the game drives, taking place each morning and evening when animals are at their most active. The in-house guides and trackers also lead bush walks, lasting between 1.5 and two hours, for an alternative and more personal view of the wildlife that choose Sabi Sand Reserve as their home. Want to see Lion Sands Ivory Lodge as part of a trip? Enquire today to let us help build your holiday.